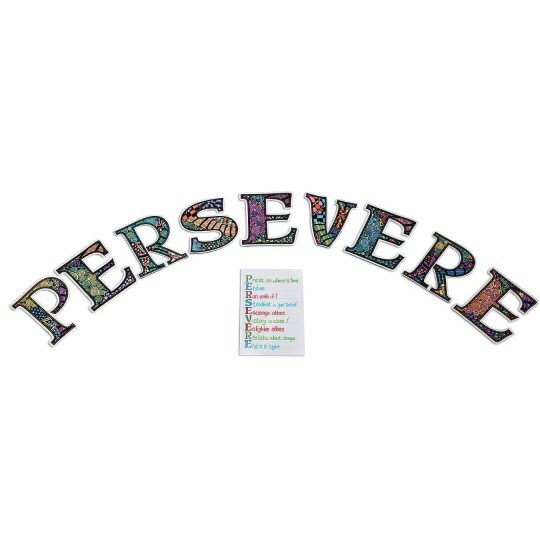 Let your group work together to color and create the velvet art letters that spell out “Persevere”. Ideal for a group between 6-25 kids. 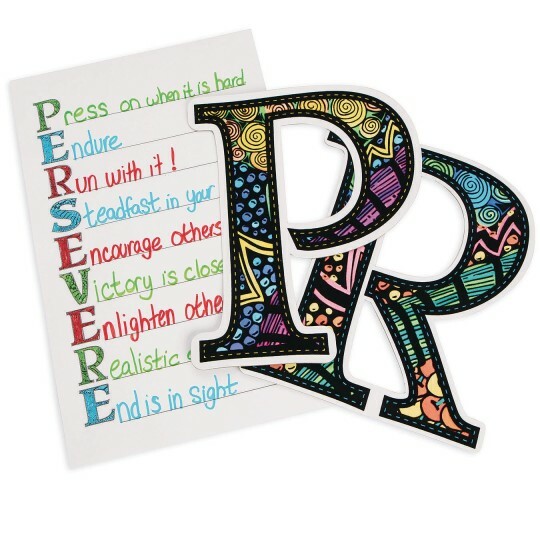 In addition, there are 25 printed writing prompt sheets so that kids can create an Acrostic Poem. 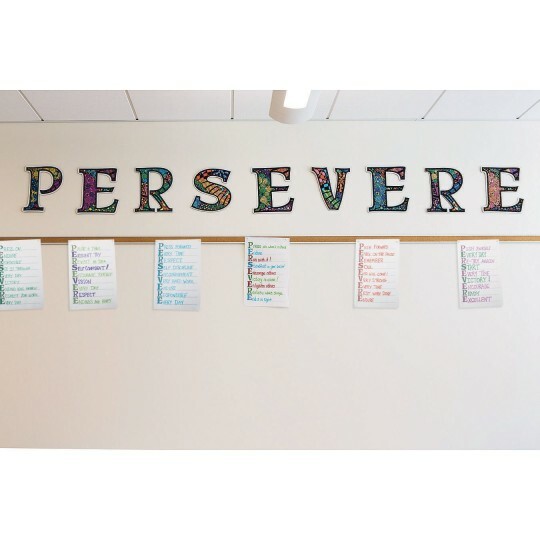 Once completed, the words can be displayed in a classroom or common space. 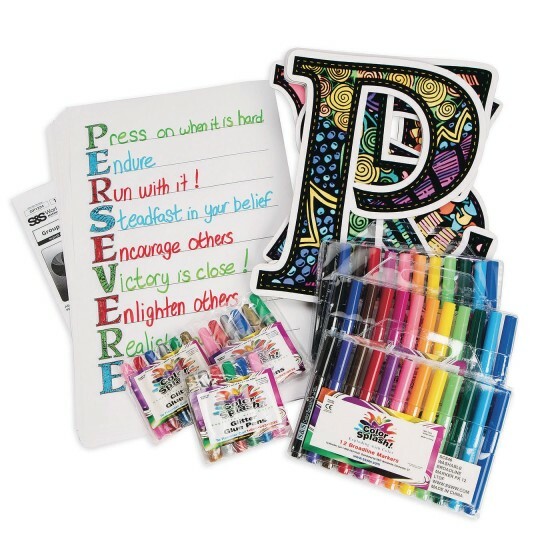 All supplies and an Educraft® guide are included. Letters are 12” tall each with varied widths.